You've had some BOM cars. Funny because I miss the BOM the most! Damn, I'm in quite the predicament myself. I want to either keep my Type-S and get an AP2 or trade the Type-S in for a 370Z. You've been in that predicament for like 2 yrs now bro don't get a 370 man. 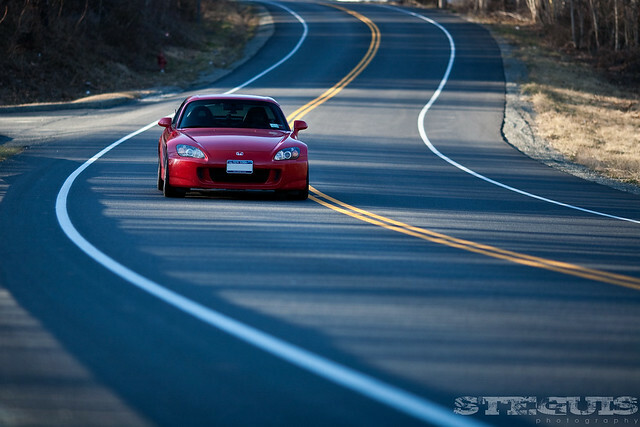 S2k is a ton of fun and easy to boost. Sup fellas! Love to invite you guys to my forum! Nice pickup on the RSX I didn't know you were looking for one. Thanks! Well I wasn't really looking hard for one. Actually I had just started sort of looking. Found this one and it was just too clean to pass up. I agree with you. I got to drive a 2012 TSX and man was it sweet. 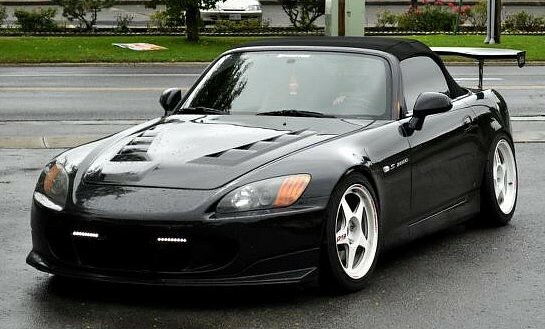 Gonna start bringing it to the Truform meets instead of the s2k? ^^Nice. I have the OEM AP2 lip and spoiler as well. I'll be putting on some new rims and rubber and a lip splitter this week as well. I'll post pics when it's all done. Need to locate a grommet to get my passenger side strake back on. Nice pic! There's nothing like Florida skies, always amazes me. Can't wait to put OEM front lip and OEM trunk lip. 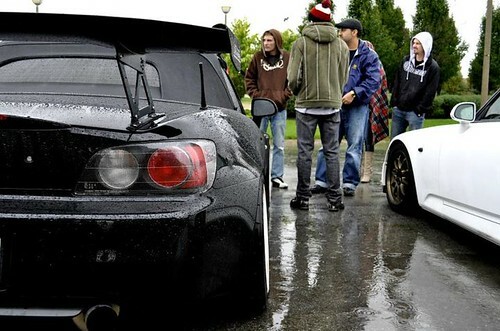 18x9.5 +40 all around is a perfect fitment for the S2k which requires just a minor fender roll all around. Im running 18x9.5 +27 in the rear, which required cutting 3 inches off the panels and shaved overfenders. 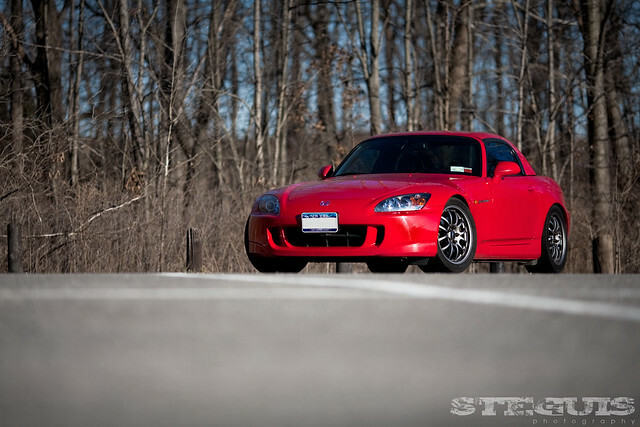 Anything under 30 offset is considered super aggressive for the s2k. Just a few shots...plan on getting some DownForce CF Side Diffusers and an Alloy Craft Rear Diffuser in the next few weeks. Should be getting some under the hood goodies this week (waiting on shipment) such as an Alloy Craft Red PC cross member cover and a Black Spark Plug Cover. Looking nice but get some coilovers or lowering springs to complement the diffusers and front lip with a lower stance (Not slammed, but at least 1.5 inches all around if you dont want to go too low). Just a thought. Yeah, I plan on getting some lowering springs, not a full coilover setup. I have too many low pathways here and need some clearance. I think lowering springs will give me the height I need without sacrificing my front bumper! Last edited by Reckon; 02-28-2012 at 03:57 PM..
what front splitter is that looks sick! Show off thread with some friends!! !